Slingshot channel brought me here. The very first moment I saw that knife I decided to buy it. Price is on the point. The design is top level and looks beautifully. It's one piece, thick and heavy. Sharp and rouged. IT is massive, and it's mare of D2! A very well crafted knife, noto an EDC bit an heavy tactical one! Love the three-edge tanto blade design, polished and razor-sharp! IT is indeed a beast of a knife, with a great kydex sheat. Well done! A bit heavy and the G10 scalea could have been rounded a bit, but it's fine. Всё супер, хороший, тяжёлый нож, всё устраивает. Заточка с коробки отличная. Дошёл за пару недель, брал со скидкой за 3150. 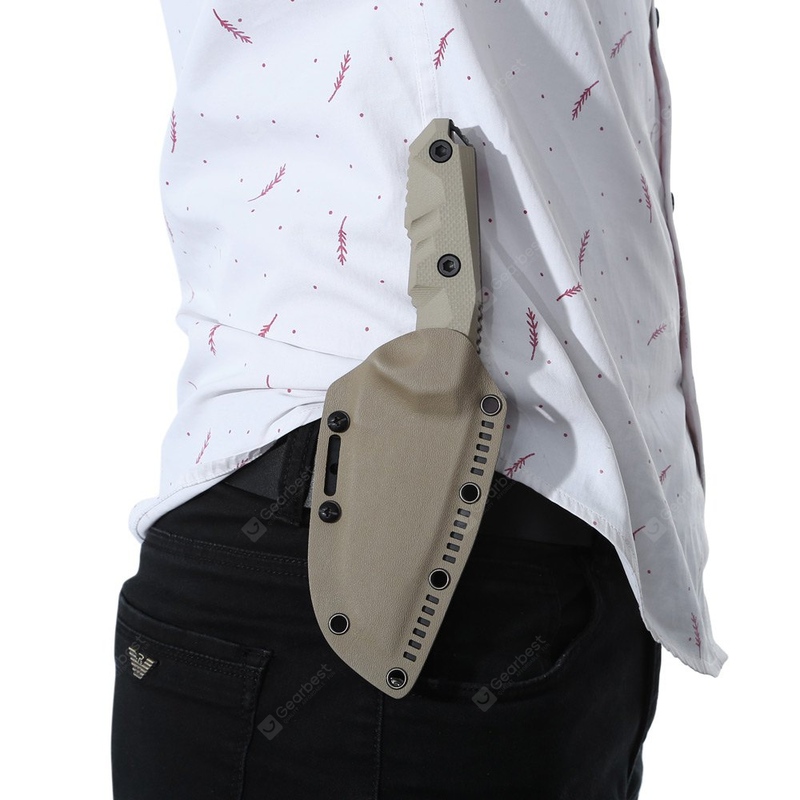 Hi, What color is the sheath that comes with this knife? The color is the same as in the picture.